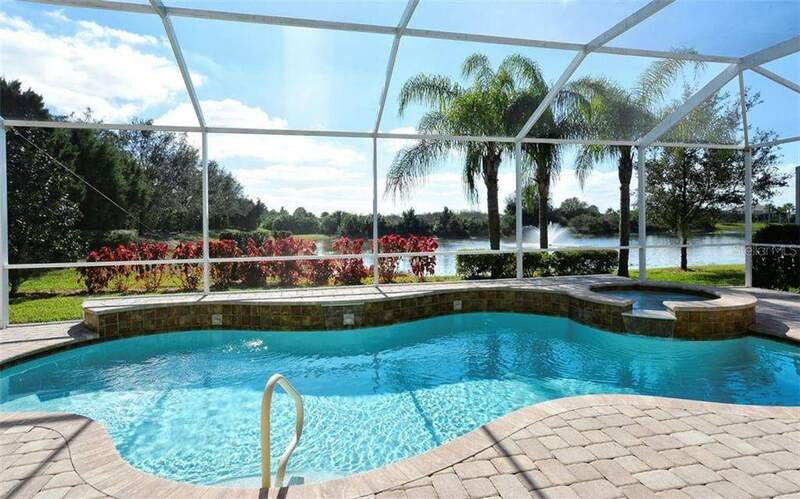 Picturesque View of Lake, Preserve & Lake Fountain is the setting for this lovely home with heated pool/spa, paver brick screened patio. 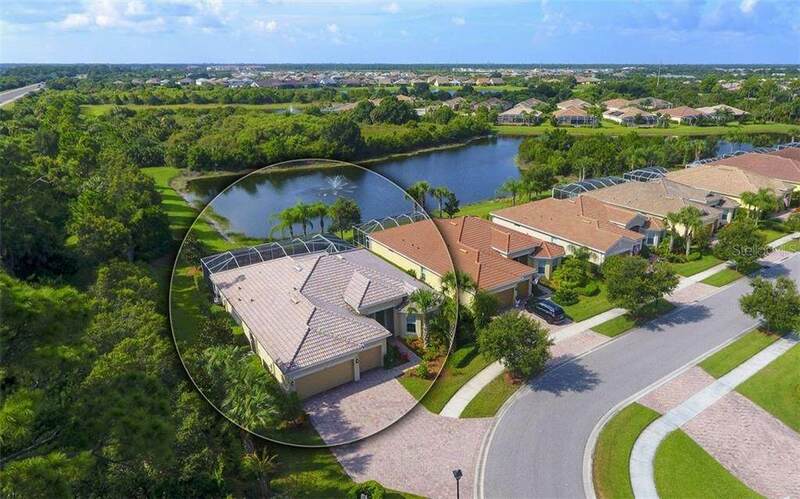 Very private, oversized corner homesite with long driveway plus an oversized 3 car garage. Original owner used lightly for winter enjoyment. 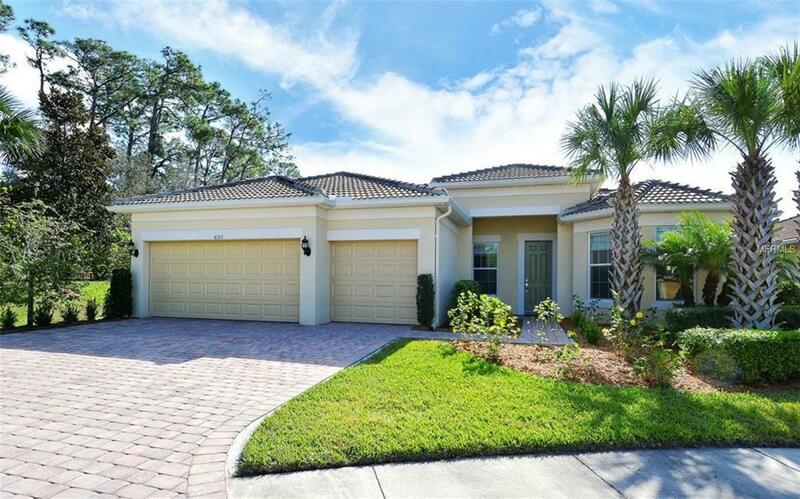 Popular open concept floor plan with elevated ceilings throughout, tile, marble and onyx stone flooring-no carpeting! Gourmet kitchen with Island Seating/Serving Bar, Top quality cabinetry, granite countertops, under cabinet lighting, stainless steel Kitchen Aide Appliances, Built-In Double Oven, Wine Bar w/wine cooler & walk-in pantry. Spacious guest bedroom with en suite bathroom and walk-in closet. All bedrooms have split plan for privacy. Master Bath has granite countertops with dual sinks, walk-in shower with frameless enclosure and a very spacious walk-in closet. Bedroom flooring is marble and onyx stone but it can be carpeted over if not pleasing to the buyer. Inside laundry room with lots of additional cabinet storage plus washer & dryer. Crystal chandeliers do not convey. Partially furnished and furniture can be sold separately. Priced to sell- bring all offers!